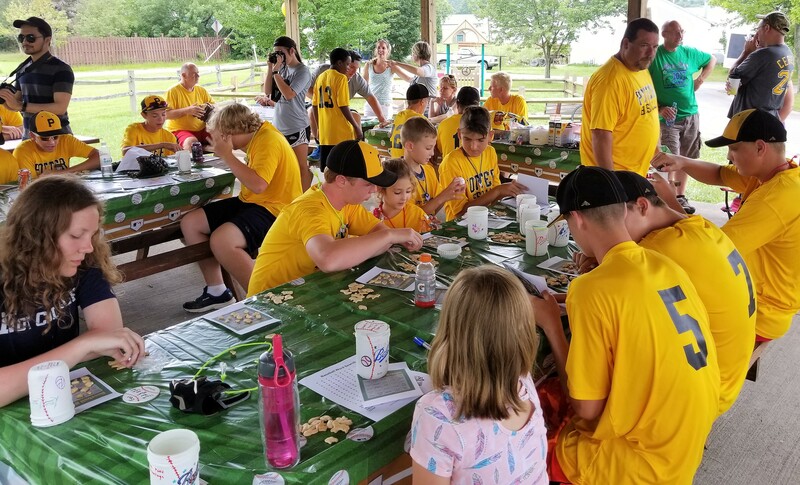 CLARION, Pa. (EYT) – The Potter Pirates baseball tour made a stop in Clarion Friday with a full day worth of activities. 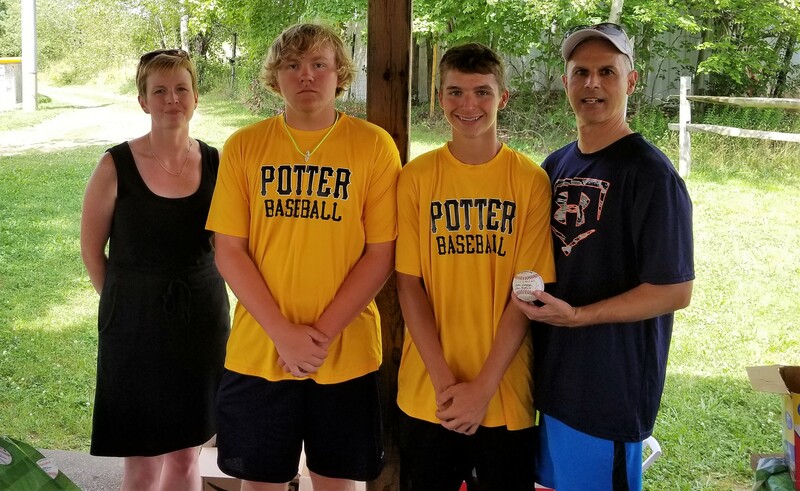 The traveling baseball team – the brainchild of Ellwood City native Jeff Potter – took a tour of Clarion University, held a community service activity with the Clarion Community Workshop, put on a baseball clinic with proceeds going to fight juvenile arthritis and played an “old-fashioned” baseball game. 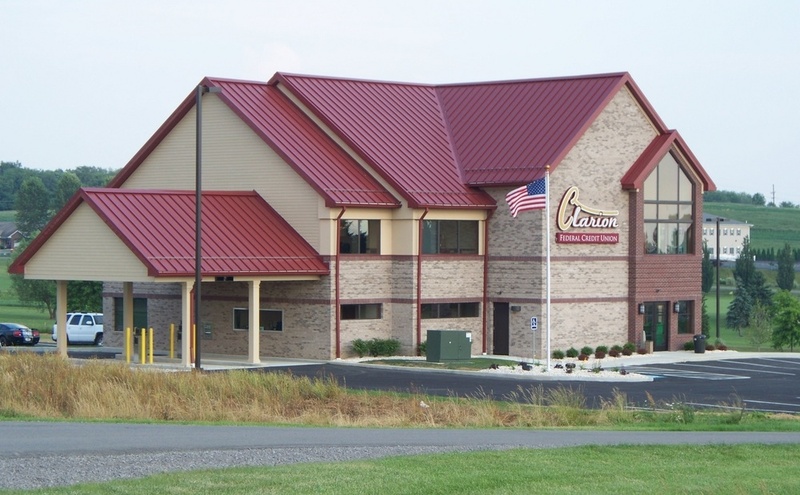 The stop in Clarion was on Day 21 of the month-long trip that will conclude in Virginia Beach, Va., and is the second time the tour has stopped at Clarion’s Paul A. Weaver Park. While Scott DiTullio has enjoyed the baseball, he has enjoyed the community service aspect of the tour even more. Noah DiTullio agreed wholeheartedly with his dad. 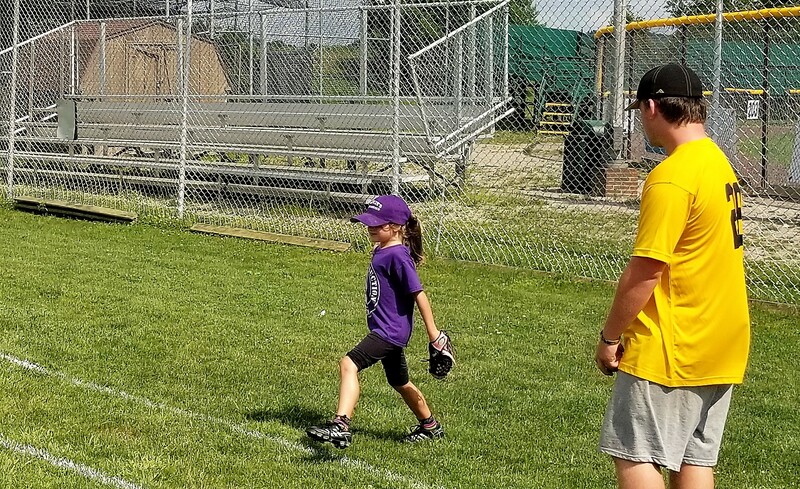 “I have really liked helping out kids with clinics and teaching them more skills that they haven’t developed yet,” Noah DiTullio, who will be a freshman at Clarion High School in the fall, said. Noah DiTullio said the Plowville, Pa., clinic has been his favorite so far. “There were a lot of kids at it, and they were so enthusiastic about the game,” Noah DiTullio said. Watch Noah DiTullio’s full interview. In Clarion Friday, the Potter Pirates joined with the Clarion Community Learning Workshop, which is a drop-in homework center located in the 800 Center in Clarion, to put on a program that includes crafts, reading and games. Approximately 10 local children joined the members of the Potter Pirates at the pavilion at Weaver Park for a fun day of activities. 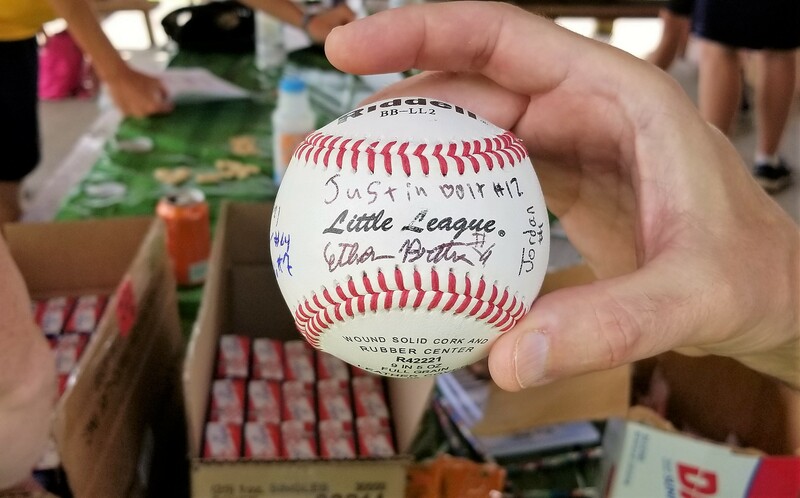 Watch as Lane receives a signed baseball for the display at the Community Learning Workshop from Potter players Noah DiTullio of Clarion and Evan Kalinksi of Crofton, Md. According to Jeff Potter, the community-service aspect of the trip is very important to him. Potter said the communities the tour has been to have welcomed the community-service portion with open arms. Community Service wasn’t in the initial plans for the tour, which basically started by accident after Potter wrote a book about the lost art of an old-fashioned baseball traveling event and reached out to 16 communities to see if anyone was interested in a barnstorming event hoping to hear back from just one but instead ended up being invited by all 16. The Potter Pirates also held a baseball clinic at Weaver Park for area children.